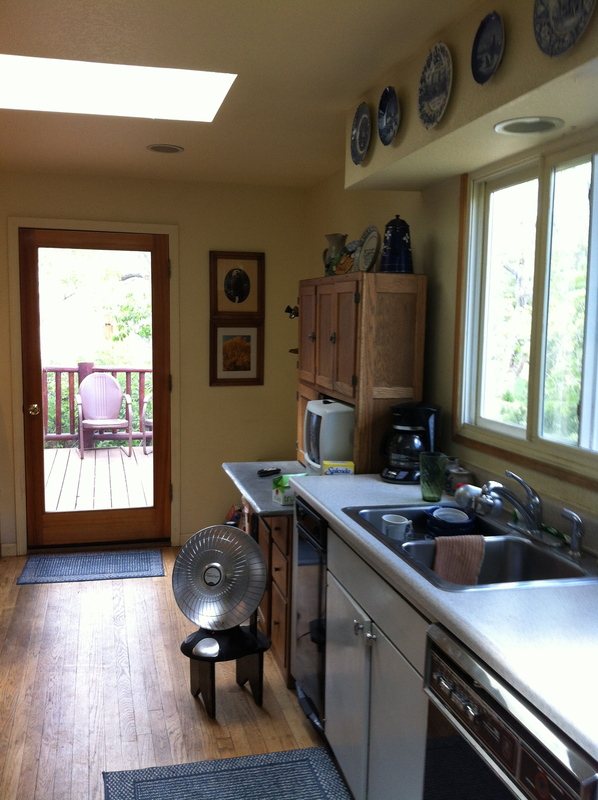 This kitchen was a lot of fun to work on partly because the “Before” space was so dramatically different from the new design. Every stage in the project felt fresh and exciting because of the changes happening in the space. Here’s a before photo looking towards where Tubs is sitting in the above photo. You can see the flat ceiling and soffit that was torn out to expose the lines of the shed roof along with numerous other changes! 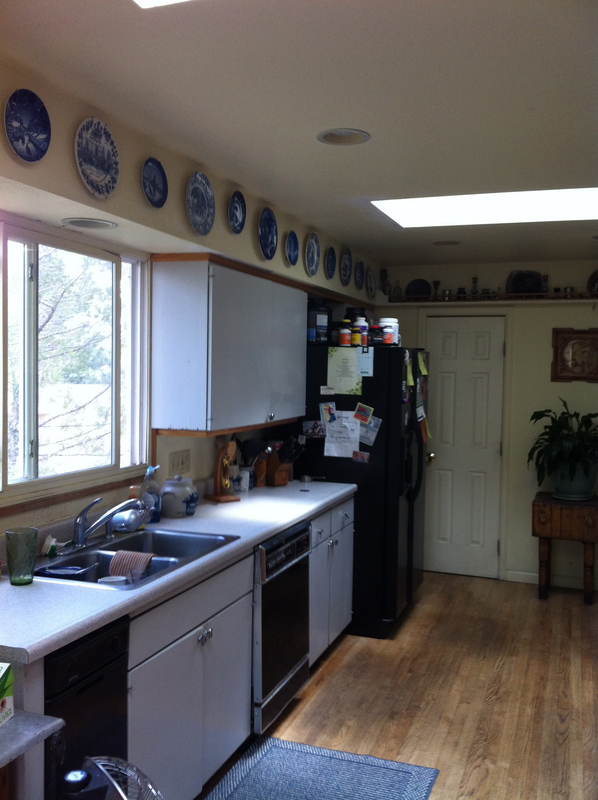 Here’s another before photo showing the built-in booth and soffit we got rid of to make more room for countertops and cabinets. 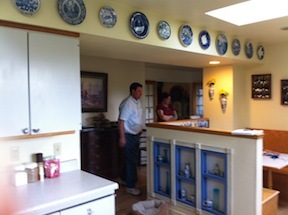 We added stone to the column in the photo as well as other areas around the home. The clients now use their beautiful dining room every day! 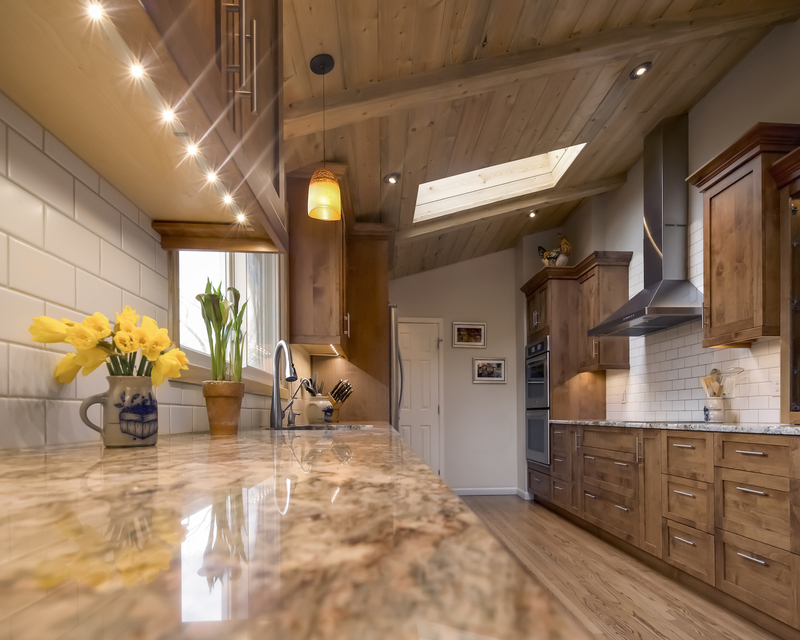 Shifting things around slightly, creating an interesting ceiling plane, and adding texture with stone and wood changed the entire feel of this kitchen. 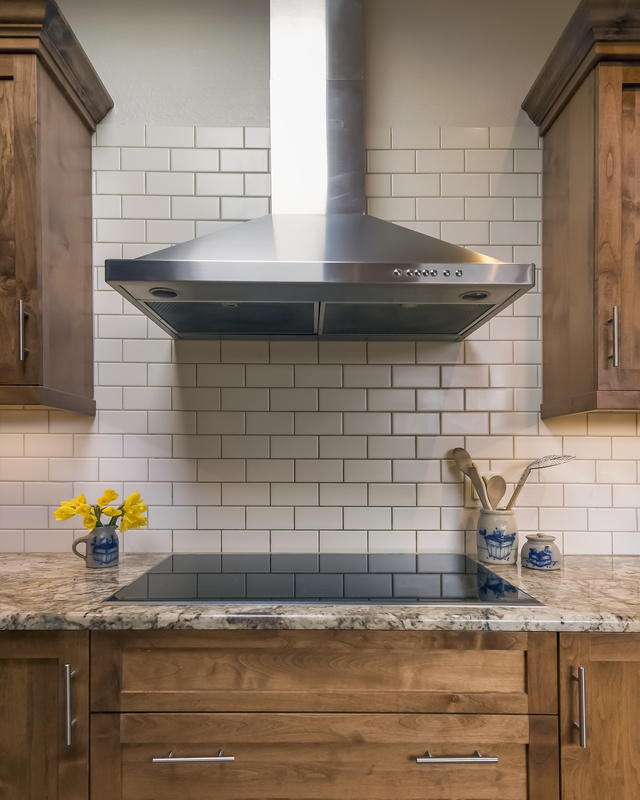 Materials are simple and classic: alder wood cabinets, granite countertops, subway tile backsplash. Wall color is Edgecomb Gray HC-173 by Benjamin Moore. Photo by Sara Yoder courtesy of Laura Medicus Interiors. 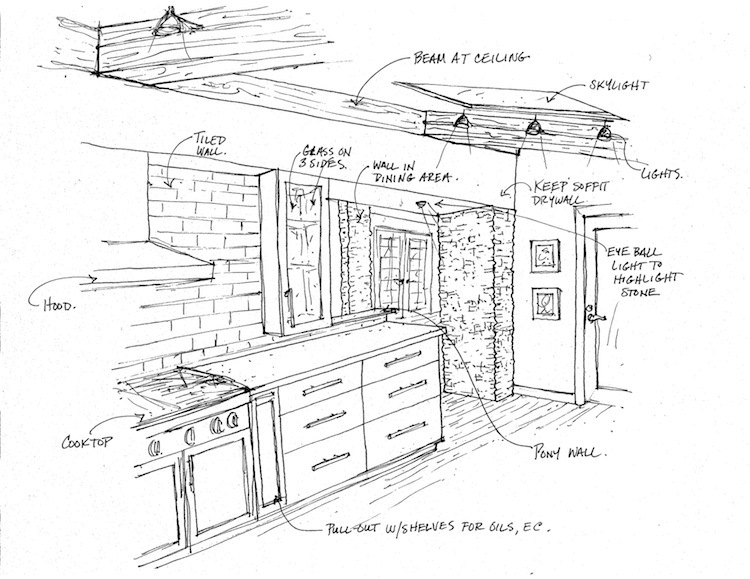 Here’s my rough, initial sketch idea for the remodel! 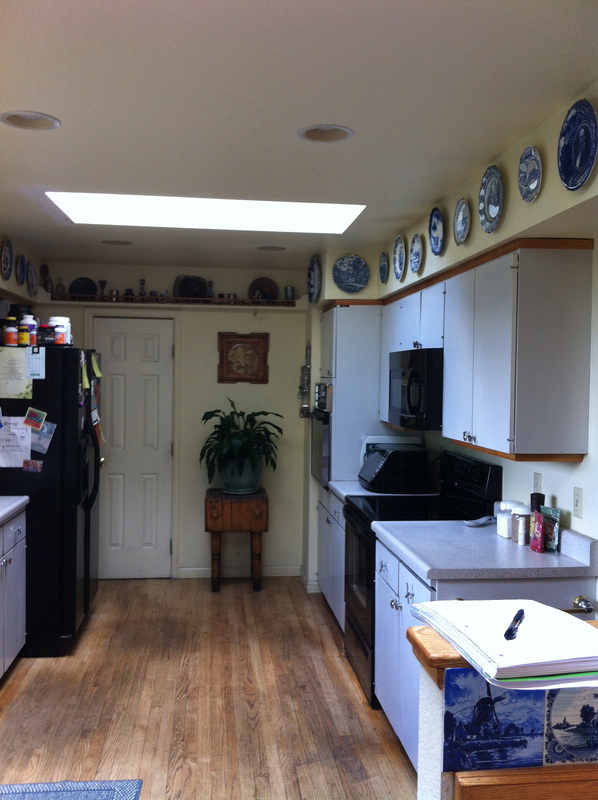 Here’s another Before photo so you can understand better the transformation this kitchen took. 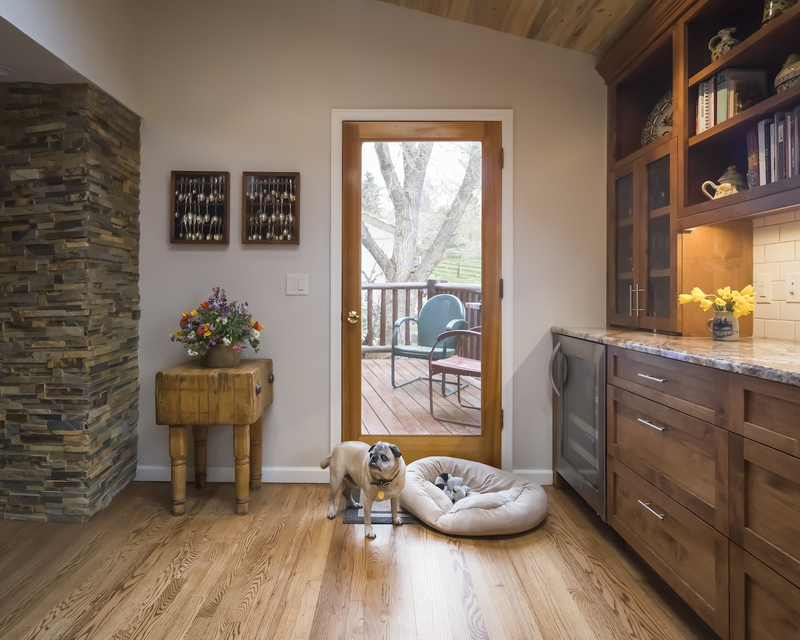 Clean, simple lines with natural materials and plenty of light! 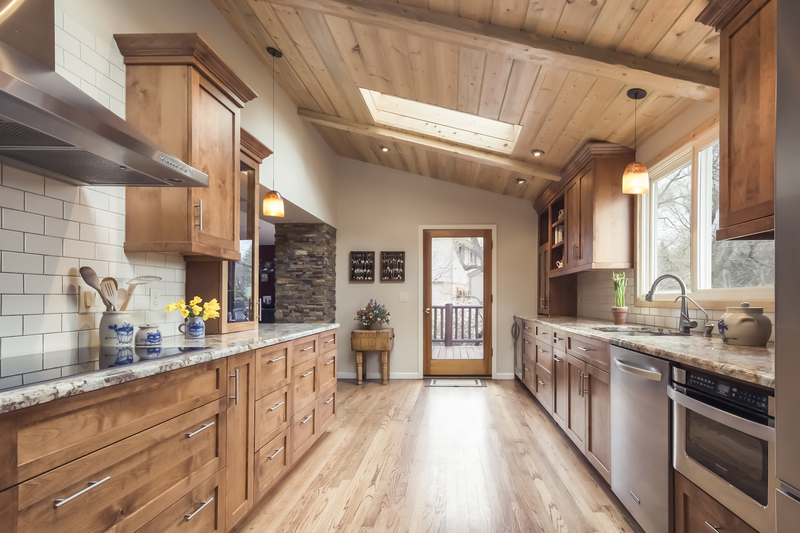 The ceilings are planked with Colorado beetle kill pine. Photo by Sara Yoder courtesy of Laura Medicus Interiors. The clients have a warm, light filled kitchen within which to create meals and memories – this project was a joy to see come to fruition! Photo by Sara Yoder courtesy of Laura Medicus Interiors.